In the latest news about Nigeria, the country’s secretary of the education ministry Adamu Hussaini revealed that Nigeria has the most number of “out-of-school” children in the world. Based on the record, it has almost 10.5 million of uneducated children. The secretary of the education ministry of Nigeria revealed that the country has the most numbers of children who did not get an opportunity to study in a school, according from the guardian.ng online report. Secretary Hussaini said that currently, there are almost 10.5 million of recorded “out-of-school” youth in the country and this is a saddening record to consider. He revealed this issue at the 62nd National Council on Education (NCE) opening in Kano, Nigeria. The education permanent secretary reveals concern that this kind of problem affecting the Nigerian children will seriously affect the objective of the country to achieve success through proper education. “Almajiri-children, those of the nomadic pastoralists, boy and girl-child drop out, social miscreants, children living with disability, those of migrant fisher men and more recently, children displaced by insurgency, constitute the bulk of the affected children,” Adamu explained as quoted by the news. Another sad issue about the education of children in Nigeria is that no sufficient investments are coming from the country to support the youth. This is regardless of the strong effort of both local and international sectors to help the country improve its education system and promotion. As detailed from the BBC News, the children’s agency of the United Nation and UNICEF had been making efforts to deal with this issue, but cultural factors affect the proposed plans of the government. In line with this, Malala Yousafzal talked to the acting president Yemi Osinbajo and asking him to make a declaration for “an education state of emergency in Nigeria.” Yousafzal is an education activist who visited the country to extend her support in improving the education here. The permanent secretary added that the increasing unemployment rate within the country is also affecting the programs to improve the education of children in Nigeria. 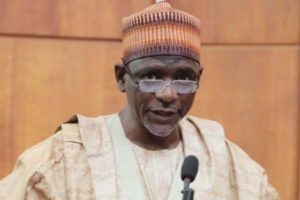 The news report added that in order to resolve this kind of problem, Professor Hafizu Abubakar said that there is already a drafted policy for the state regarding the all-inclusive education to provide the youth. Abubakar is Kano State’s current Deputy Governor.